Section 311 empowers the court at any stage of any inquiry, trial or other proceedings under the Code to summon any person as a witness or examine any person in attendance, though not summoned as witness or recall and re-examine already examined witness. The appeal was filed against a Calcutta High Court order which reversed the trial court’s order which had rejected the application filed by the prosecution under Section 311 of the CrPC to recall the Investigating Officer. While analyzing the provision, the Bench observed that the second part of the Section uses the word ‘shall’. It says that the court shall summon and examine or recall or re-examine any such person if his evidence appears to it to be essential to the just decision of the case. The words ‘essential to the just decision of the case’ are the key words. The court must form an opinion that for the just decision of the case recall or re-examination of the witness is necessary. Since the power is wide it’s exercise has to be done with circumspection. It added that the exercise of this power cannot be untrammeled and arbitrary but must be only guided by the object of arriving at a just decision of the case. It should not cause prejudice to the accused. It should not permit the prosecution to fill-up the lacuna. Whether recall of a witness is for filling-up of a lacuna or it is for just decision of a case depends on facts and circumstances of each case. The Courts were hence cautioned to consider all the circumstances and decide whether the prayer for recall is genuine. A petty altercation over a tape recorder had resulted in a major incident in which bombs were hurled at the victim, Rupchand in December1992. He later succumbed to his injuries. Initially the case was registered under Sections 447, 326 read with Section 34 of the Penal Code and Sections 3 and 4 of the Explosives Substances Act. After Rupchand’s death, Section 304 of the Penal Code was added. The investigating officer, SI Dayal Mukherjee had recorded deceased Rupchand’s statement at the scene of offence. However, this statement wasn’t brought on record initially. A month after the trail began, the prosecution moved an application for recalling Mukherjee because the prosecution wanted to bring on record statement of deceased Rupchand which it had inadvertently omitted to do. It was the prosecution case that after death of Rupchand the said statement became his dying declaration. This application was rejected by the trial court. The trial court observed that the case was at the stage of argument and no explanation was given by the prosecution as to why the statement of deceased Rupchand was not brought on record by the Investigating Officer. The court felt that if the prosecution is allowed to recall Mukherjee, which would enable them to fill up the lacuna. The appellant then approached the High Court under Section 401 read with Section 482 of the Code. The High Court observed that non-exhibiting of the statement of deceased Rupchand was mistake of the prosecution and no advantage can flow from the said mistake to the accused. The High Court further observed that existence of the statement was known to the accused and, hence, no prejudice would be caused to them. This order was challenged in the present appeal. The appellants submitted that the incident took place 22 years back and the statements of witnesses were recorded under Section 161 of the Code within a week from the date of incident. The case is set for final arguments and, therefore, it would be unjust and unfair to recall the Investigating Officer. His recall would cause serious prejudice to the appellants. This is clearly an attempt to fill-up the lacuna which should not be allowed. It was also brought to the notice of the Court, that Mukherjee has retired from the service in the year 2010 and he is presently about 68 years of age. He might have forgotten the entire episode. It will be easy for the complainant to tutor him. They contended that Section 311 of the Code is not meant for putting the accused in a disadvantageous position. The State on the other hand submitted that the application Section 311 of the Code is not meant for putting the accused in a disadvantageous position. In the light of this decision and the others that followed the same, the Court ruled that they shall sustain the High Court’s order, agreeing that the said statement is very vital to the prosecution. Since the accused knew that such a statement was recorded by SI Dayal Mukherjee, no prejudice can be said to have been caused to the accused, which will get a chance to cross-examine Mukherjee. 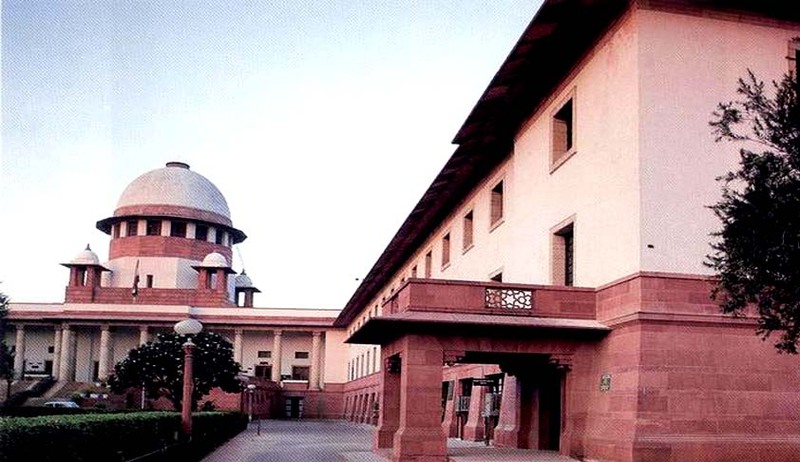 The Court accepted the State’s contention that the application for recall was filled just a month after the Mukherjee was re-examined and hence, there was no undue delay. The Court, however, clarified that the oversight of the prosecution is not appreciated by us. But it was averred that cause of justice must not be allowed to suffer because of the oversight of the prosecution.